These stylish designer eyewear frames for women are both flirty and fun, adding the final piece of perfection to your look. 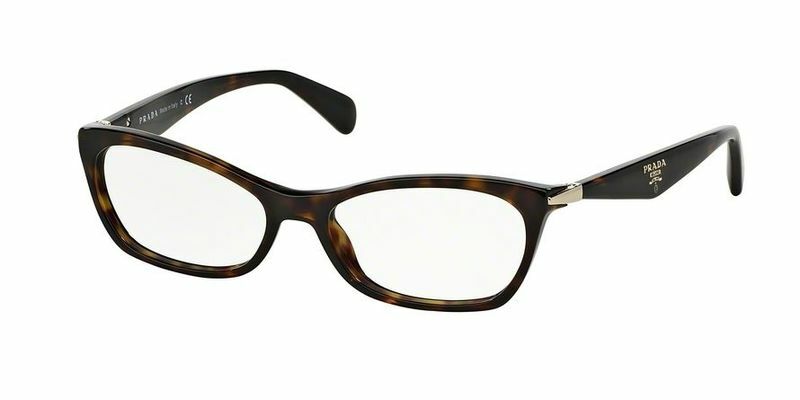 If you have shorter nose, you might benefit from this pair of high bridge Prada PR 15PV SWING glasses to accentuate your features and add more balance to your face. The thick fully rimmed frames are a real showstopper. You'll be able to let your personality shine through your Prada PR 15PV SWING eyewear with these unorthodox eyewear frames. For those of you, who have triangular-shaped faces, you should opt for top-heavy Prada PR 15PV SWING glasses with high temples such as these to bring about more of a balance.